The group was comprised of representatives from Spain that focused primarily on incentive groups and it received the support of the MTB and Aeroméxico as part of the strategy implemented by the Puerto Vallarta-Riviera Nayarit Joint Promotion. The Promotions and Sales desk of the Riviera Nayarit Convention and Visitors Bureau (CVB) closed out the month of January by accompanying a FAM trip made up of eight executives from Spain’s top agencies focused on the MICE (Meetings, Incentives, Conferences and Exhibitions) segment. The Western Europe Regional Office of the Mexico Tourism Board (MTB) and Aeroméxico lent their support to this activity as a follow up to joint efforts to promote Puerto Vallarta and the Riviera Nayarit. The tour began in Puerto Vallarta then continued in the Riviera Nayarit. The group was made up of heads, directors and managers of agencies Halcón Viajes, Viajes Pacífico, El Corte Inglés, Nautalia and American Express, all based in different cities around Spain. The total sales of these agencies last year surpassed one million Euros, which is why this was a good opportunity to promote the services of the region. The purpose of the trip was to diversify and promote Puerto Vallarta-Riviera Nayarit as a preferred destination in an emerging market such as this on from Spain, while strengthening the relationships with the MTB and Aeroméxico. 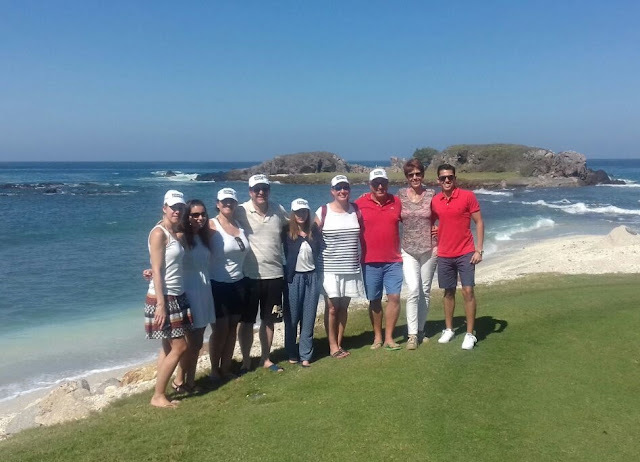 During their stay in the Riviera Nayarit the agents visited and enjoyed the many attractions of Punta Mita, San Pancho, Sayulita and Las Islas Marietas.